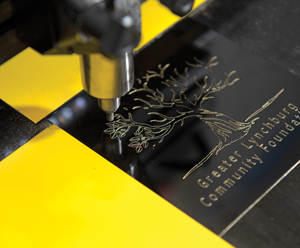 From achievements immortalized on plaques and trophies to anniversaries etched in shiny keepsakes, Lynchburg Specialty Engraving, Gifts & Awards (www.LSEAwards.com) has left its mark on the community over the past 31 years. 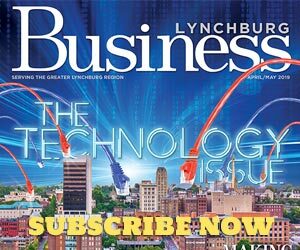 The company has carved its way into Lynchburg history through a steadfast commitment to quality that has made it the business of choice for everything from sports and corporate awards to wedding and baby gifts, name tags, signage, custom engraving, glass etching, monograms and much more. A lot of time and effort goes into showcasing their products, something that even their vendors notice and mention as something that stands out in the industry. LSEA may not have started with an endless selection and a glimmering exhibit, but a creative touch and commitment to quality has been embedded in the company’s DNA since Day 1. Tartaglia started out selling engraved items at flea markets, laying out and tracing brass letters with a pantograph machine. 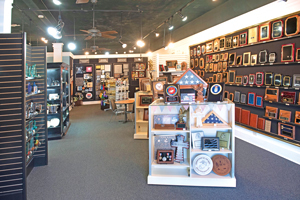 His business soon moved into a basement and then its first storefront. Over the years he has appreciated help from various family members, including his parents, Slena, who manages a lot of the paperwork, and two daughters, including Byerly. And over those years innovations in the industry have allowed the business to expand its offerings. Once limited to things such as signs and brass plates, the opportunities are now as diverse as the clientele in the region. People can bring in heirlooms to be engraved, Byerly added. 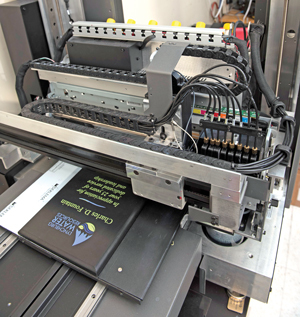 One company had French menus laser printed onto leather and shipped to Paris. Clients bring in everything from earrings and silverware to urns and crystal. 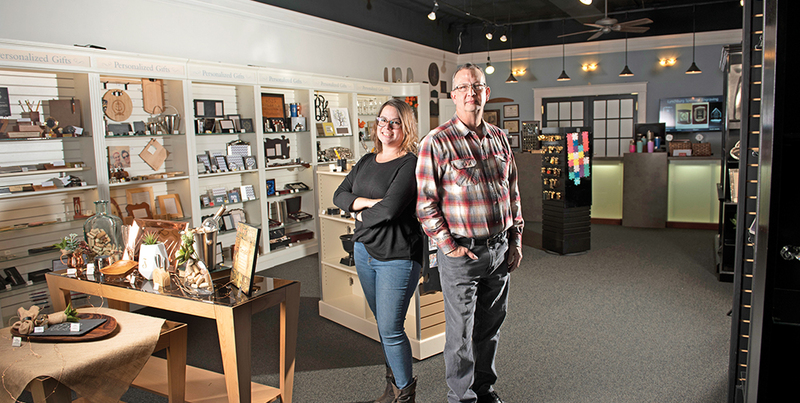 A local jewelry shop even partnered with LSEA to create memorable trinkets out of a hardwood gym floor. One time they even engraved fossilized dinosaur poop. As a small, family business, LSEA has depended upon its reputation in the community to continue to thrive. And from the beginning, that reputation was rooted in the craftsmanship. The company finds it meaningful that it has been able to be a part of so many events at the heartbeat of the community, from graduations and weddings to annual award events.